You, the old experienced detective, fell into a trap. The town in which you ended up is under threat of gloomy Shadows. The horror of the night abducts the inhabitants, and you can become the next victim! Or... you will step beyond the edge of this world, and destroy the Darkness in it’s lair? Watch how the your world is changing, and usual investigating becomes a battle against Darkness. 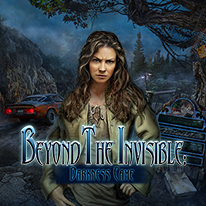 - Live the mystery with the stunning soundtrack.